How do I assign managers to a site? 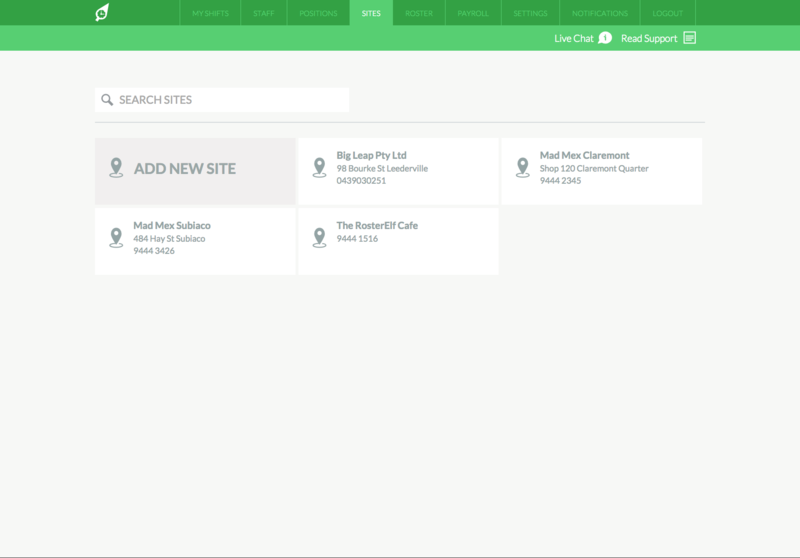 For each site you can assign manager. These are employees who will have access, via their RosterElf login, to roster and approve changes for just that site. Firstly, to assign a manager, simply click on the "Site" tab. Next, click on the site that you would like to assign your manager. 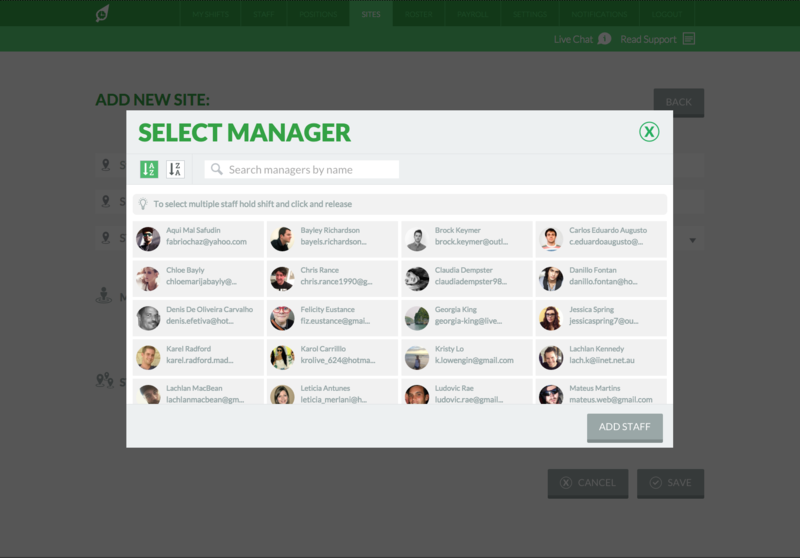 To assign managers to a site, simply click the + icon next to "Manager of this site". A popup window will appear similar to example below for you to select the employees who you would like to assign as a Manager. Simply select one employee, or hold down shift and multi select as many employees as you like to Mange this site. Once you have assigned your Managers, please make sure you click "Save" button down the bottom right of your screen.